Aaron Rodgers rescued the Packers again Monday night, throwing for 425 yards and two touchdowns as he led a miraculous comeback win over the San Francisco 49ers. With Green Bay down a touchdown late in the fourth quarter, Rodgers hit Davante Adams for a game-tying, 16-yard score. 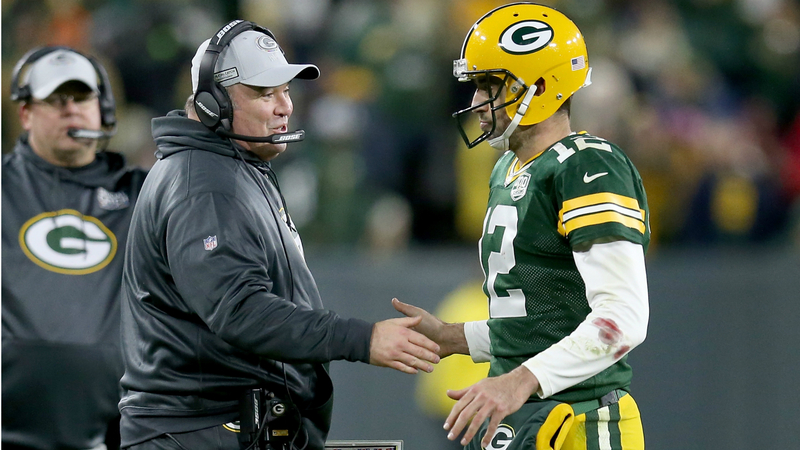 After the Packers got the ball back inside their own 20 with just over a minute remaining, Rodgers set up a winning field goal by Mason Crosby. We’ve seen Rodgers do this so many times before, but his late-game brilliance still manages to captivate social media. My man @AaronRodgers12 is unreal if anybody was wondering…. Wow @packers wow @AaronRodgers12 RESPECT? Wow, Aaron Rodgers finally managed to beat CJ Beathard and the 28th-ranked defense. Amusing how quickly most ppl forget Aaron Rodgers is 5-6 in the postseason since his lone long-ago Super Bowl. Should be 4-7 bc DEZ CAUGHT IT. Tom Brady, he is not.